• There are 101 rooms and suites. • Quatre Cantons restaurant, the Panorama restaurant and the Pool Terrace bar. • 8 meeting and conference rooms for up to 130 people, a beauty spa a heated outdoor pool and an indoor pool swimming in the lake, a fitness center, a tennis court and a waterski boats. 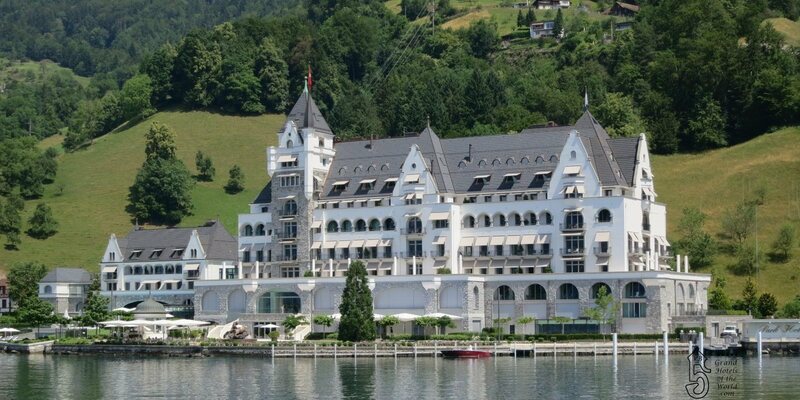 • Located on the Lucerne lake with a magnificient view on the Alps and one hour drive frome Zurich. • 1902: Opening of the Park Hotel.